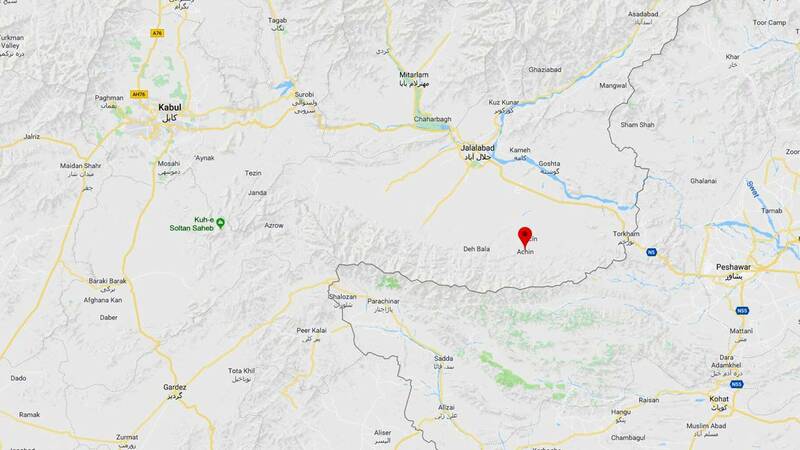 WASHINGTON (CNN) - A US soldier was killed on Monday in the Achin District of Afghanistan's Nangarhar Province, the US military said. Army Sgt. 1st Class Mihail Golin, 34, of Fort Lee, New Jersey, was killed by small arms fire on a dismounted patrol, the Army said Wednesday. He was assigned to the 2nd Battalion, 10th Special Forces Group (Airborne) out of Fort Carson, Colorado. The incident is under investigation. Four other service members were wounded during the combat engagement. Two service members are in stable condition and being treated at a medical facility, the military said Tuesday. "We are deeply saddened by the loss of one of our own," Gen. John Nicholson, the commander of US forces in Afghanistan, said in a statement. "At this very difficult time our heartfelt sympathies go out to the families and friends of our fallen and wounded brothers." The United States has supported the Afghan government in its fight against ISIS. President Donald Trump last year announced plans to strengthen the US military presence in Afghanistan, signing off on a modest surge of several thousand more US troops tasked primarily with conducting counterterrorism missions and training Afghan security forces. The decision made Trump the third US president to increase troop levels in Afghanistan and reversed President Barack Obama's moves to gradually withdraw US troops from the country. Vice President Mike Pence visited Afghanistan in December for an unannounced visit to meet with top Afghan officials and rally US troops during his first trip to the country as vice president.